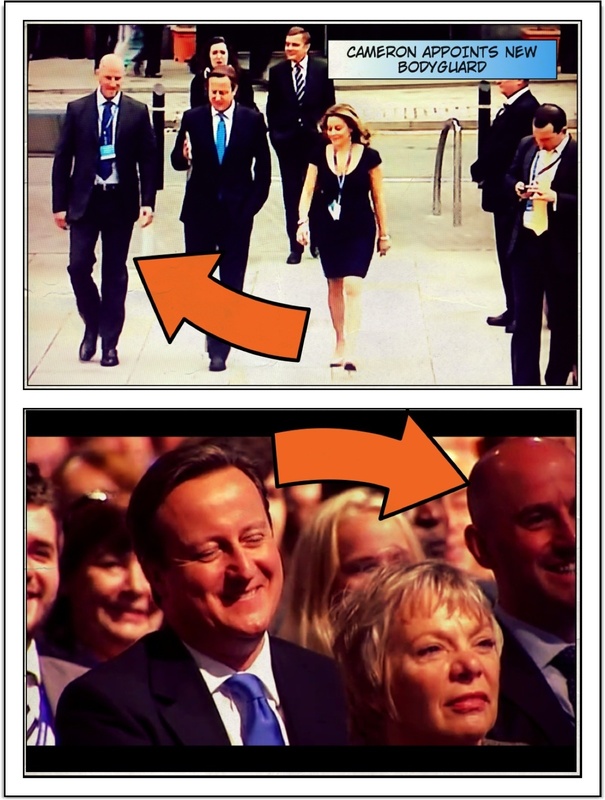 STROLLING around conference – and caught on the news cameras yesterday – it looked like Prime Minister David Cameron had recruited a lofty new bodyguard. Closer inspection reveals the rugby-tackler next to him is none other than Hampstead and Kilburn parliamentary candidate Simon Marcus, who accompanied the PM across campus and bagged a prime seat behind him for Boris Johnson’s speech in the main hall. “I kind of grew on him and so he he said he had a couple of seats reserved for this big speech his mate was making,” Simon jokes, after explaining that the leader had made time for candidates in target marginal constituencies this week. Maybe now the local Tories can actually convince him to actually visit Hampstead and Kilburn on one of his official campaign engagements at the next election. It’s a sore point among some local Tories that Cameron didn’t make it down last time. Certainly, given all of the places he did rock up to asking for votes before the election, it was an odd choice not to come to a patch where the Conservatives were eventually edged out by a majority of just 42. Cameron didn’t come because he knew Labour was going to win. Hard to see it any other way.